This mod adds 3 types of Japanese house. 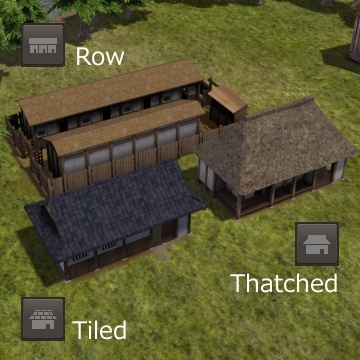 Thatched and Tiled house are almost the same as the existing houses. Row house can live 7 families, and 4 people per family ( i.e. 28 people ). *The number In parentheses is include roads.